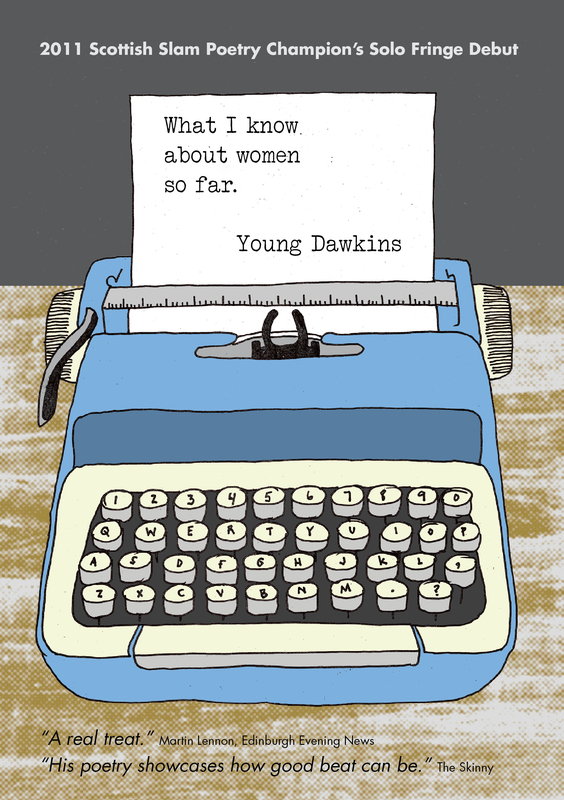 Today I have a guest post from blogger and Fest Magazine kids editor Ruth Dawkins on how husband Young Dawkins’ 2011 PBH Free Fringe show, What I Know About Women So Far, has been a definite team effort. It’s not always easy being married to a poet. Young and I use up a significant number of babysitting credits not on romantic dinners, but on evenings in dingy pubs, where I sit and watch him reading to half a dozen people. He is always shouting ‘that’s a poem’ in the middle of our conversations, and rushing off to scribble down a phrase or idea. And we spend hours trekking around stationery shops looking for just the right notebooks, because no others will do (yellow Levenger – A4 – lined). Today he will be performing as part of the No Sleep in Bristo poetry marathon at The Forest Cafe, and this weekend he is also compering the first BBC Slam Poetry Competition at the Fringe. For regular updates on his whereabouts, visit his website.